China’s crackdown on cryptocurrency may soon extend to mining — and the impact could reach across the globe. In China, the National Development and Reform Commission (NDRC) is tasked with studying the nation’s economy and guiding its future development — in part by listing industries it wants to encourage, restrict, or discontinue. On Monday, the agency shared a proposed revision of this list for public feedback, and it includes cryptocurrency mining as an activity the NDRC suggests eliminating from China’s economy — a startling move that could cause a spike in global cryptocurrency value. 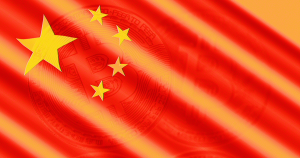 The Chinese public now has until May 7 to comment on the proposal, which doesn’t include a deadline or plan for how to ban crypto mining, but does share some reasoning behind the proposed ban. If China did ban crypto mining, the move would likely raise the global average cost of mining bitcoin, the world’s most popular cryptocurrency, since China is a key supplier of the cheap electricity ideal for the activity, Mati Greenspan, an analyst for investment firm eToro, told Reuters. This would most likely increase the price of bitcoin, he noted in a tweet. Still, the NDRC’s list doesn’t carry any legal weight — it’s only the agency’s suggestions — so unless the government decides to heed the NDRC’s advice and take legislative action, crypto mining will continue in China. The post Chinese Authorities Want to Ban Crypto Mining appeared first on Futurism.